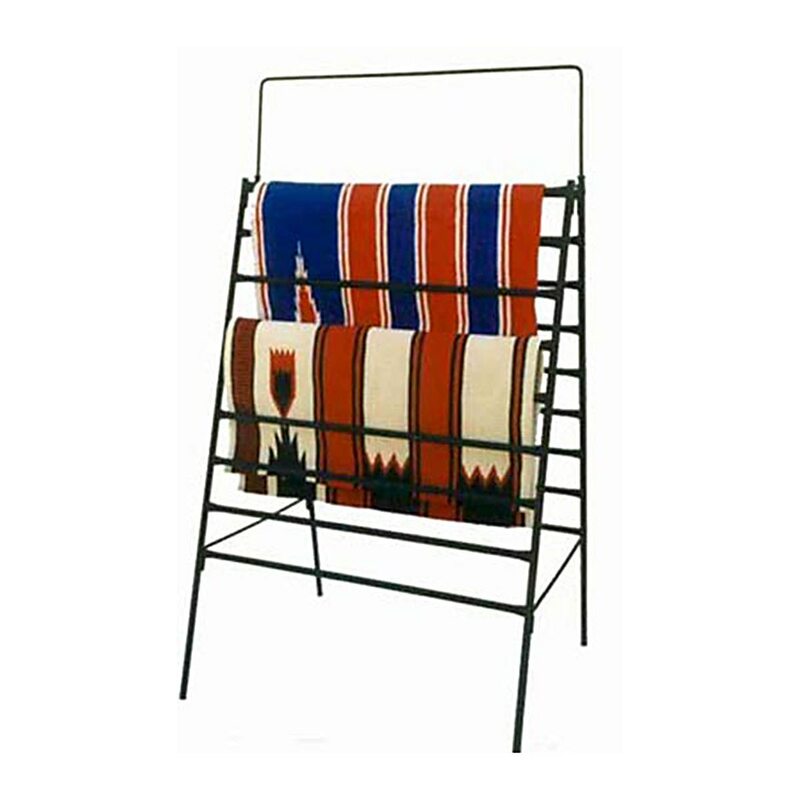 The A-Frame Saddle Pad Rack holds 18 saddle pads or blankets. Made of durable steel tube construction, and measures 4" between bars. The serious equestrian knows the importance of coordinating barn colors. It not only gives your barn a distinctive appearance, it also helps protect your investments from damage and theft. Please allow 4-6 weeks for delivery. Imported. Display the fruits of your labor on this classic Ribbon Rack. Beautiful walnut stained wood with a brass linked chain and connectors. Add a brass nameplate and customize with your horse's name or barn name! These Horseshoe Cross Tie Anchor are strong and durable. 3 inch square mounting plate with hinged pony shoe. Black powder coat finish. Cross ties not included. Pair. A unique dual-action formula that first penetrates new leather and progressively darkens light colored leather, and, secondly, the unique oil formulation helps protect new leather and ensure that mud and sweat can be removed with cold water.